Old Hymns Sing-A-Long at the Assembly of God Church Hall in Whitewater. Adults $15. Children are free. 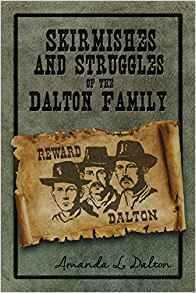 1 copy of Skirmishes and Struggles of the Dalton Family will be given to each family in attendance. Author: Amanda Dalton (Bearden) will be present to autograph copies. Amanda graduated from Jackson High School, MO in 1965. She currently resides in Sesser, Illinois.